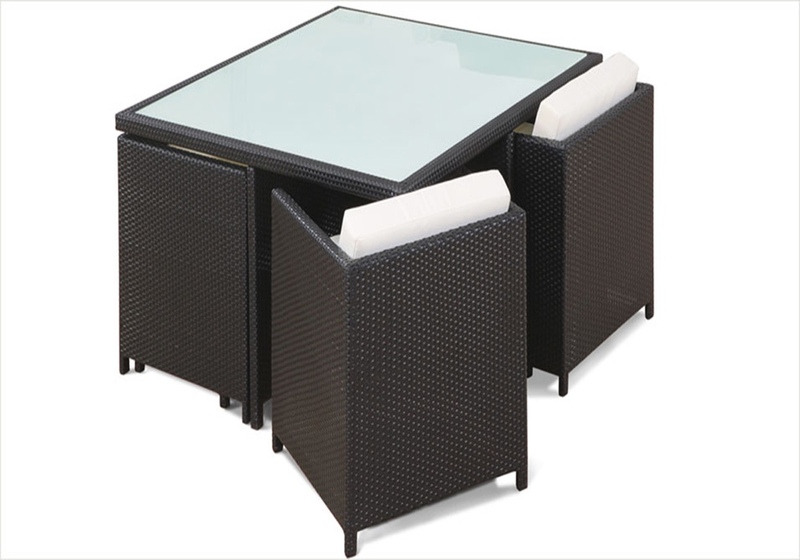 Bekasi Dining Set is made from 100% non-recycled PE Rattan (therefore is more stable) with UV inhibitors in the dye. Each piece is hand woven onto a powder coated aluminium frame, which will not rust. It is perfect for you to enjoy a nice meal under sunshine in your backyard. Designed to be stored in a square shape when not in use to save your space. Frame: The frame we use to support the rattan is made of aluminium which is defile-resisting and antirust. 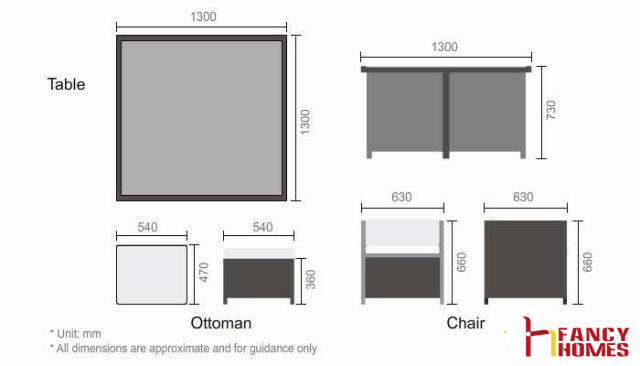 Our outdoor products are constructed by 1.2mm,1.5mm and 1.8mm thick aluminium, being stronger than the traditional frame with only 1.0mm thick tube. 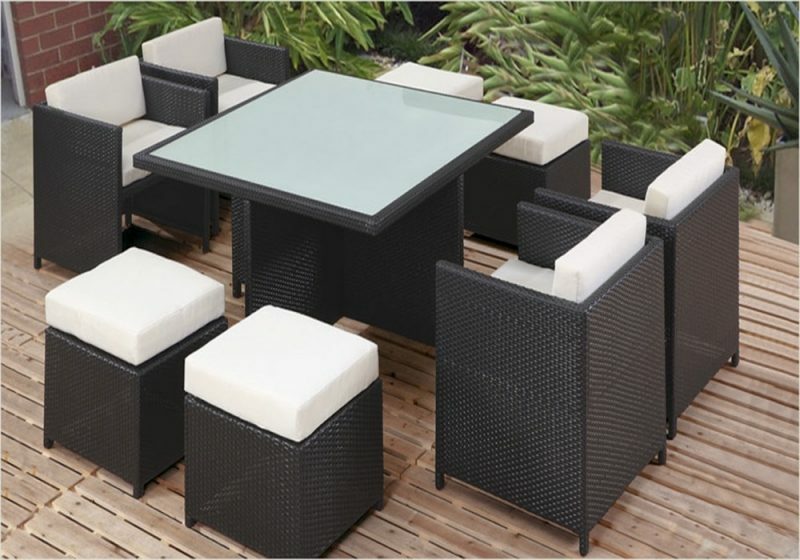 Rattan(Wicker)- The rattan we use for our product is the high-quality man-made fibre- PE rattan. 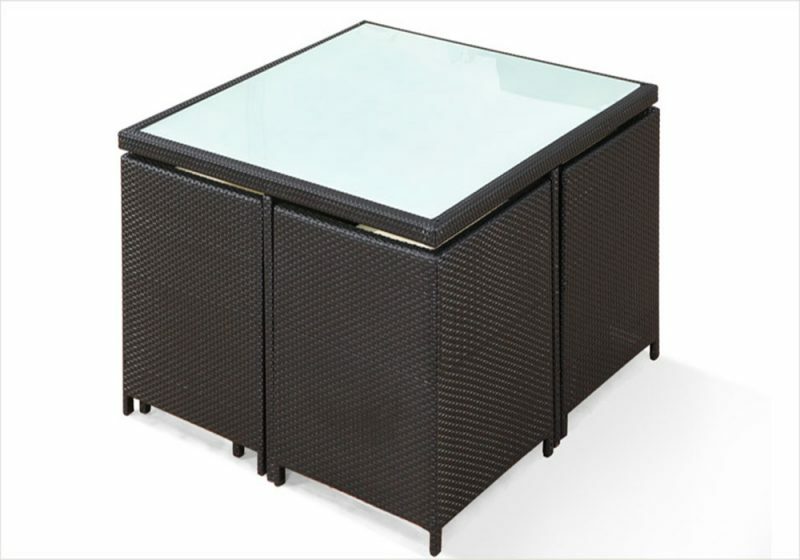 Unlike the traditional rattan, PE rattan is light but endure for Bend, aging and UV radiation.It is UV resistant and waterproof; and it is not sensitive to the temperature fluctuations. 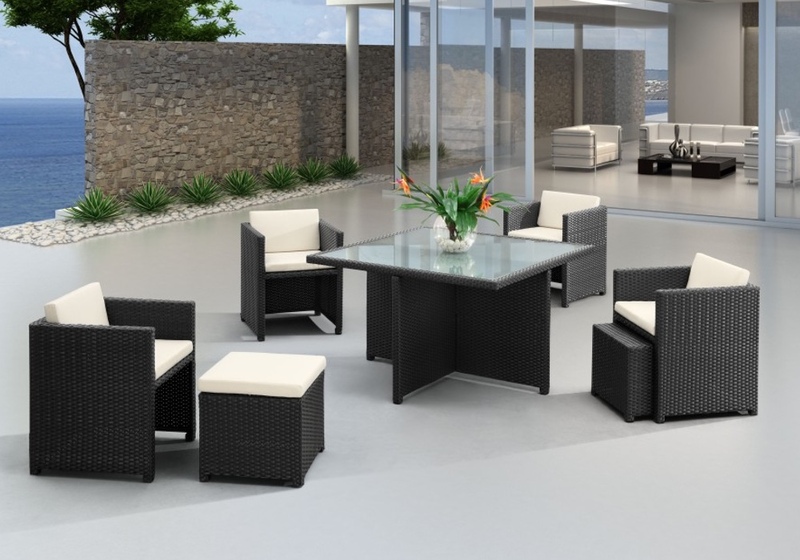 To guarantee the colour quality, our rattan is dyed and will not fade away.